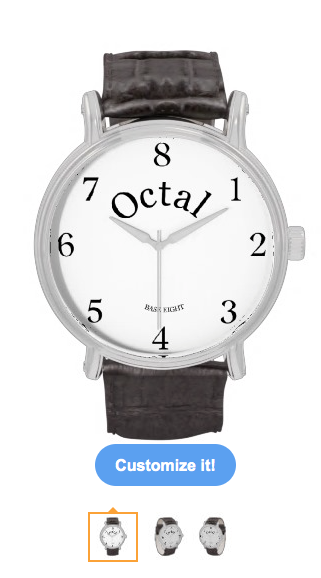 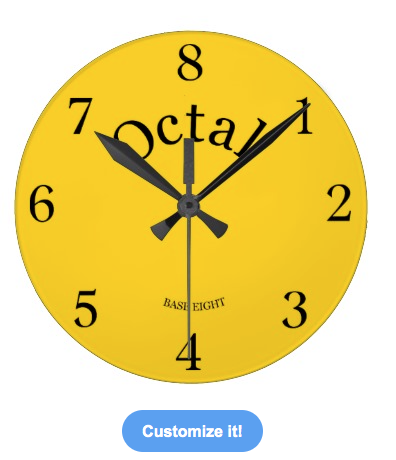 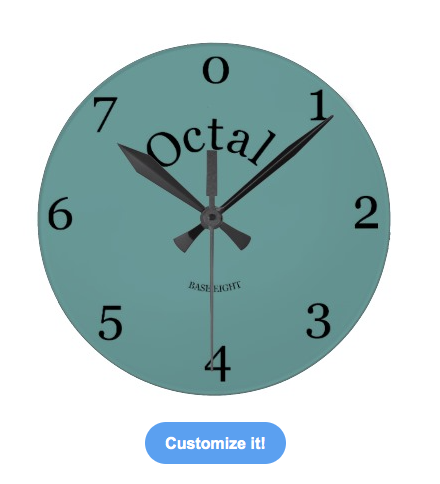 Have you always wanted to live in base 8, here's your chance, split your day into three with an octal watch! 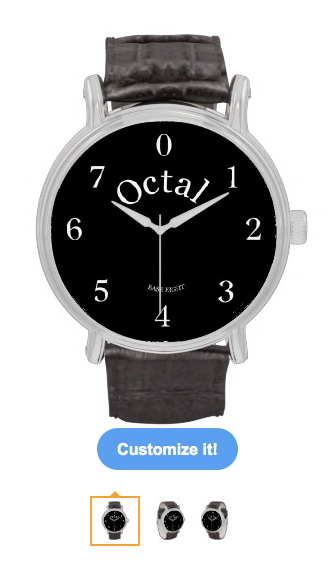 For the person who has everything. 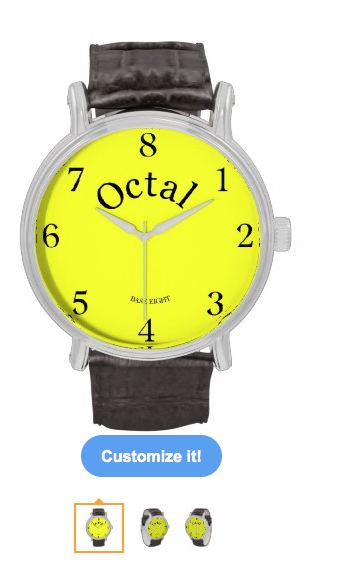 Also for sale with an eight at the top. 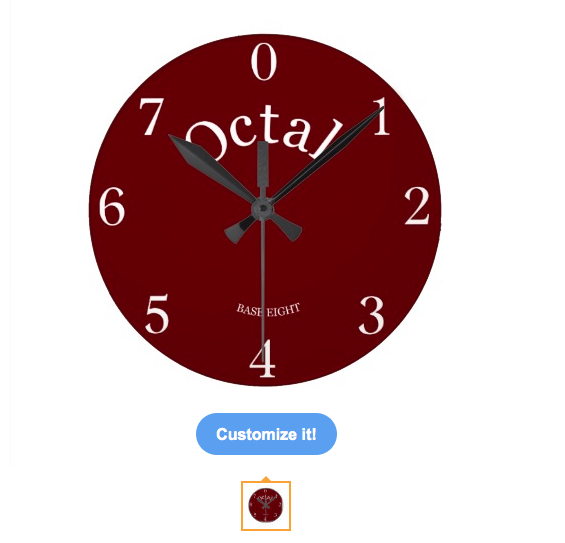 This design can be found in my piedaydesigns zazzle store. 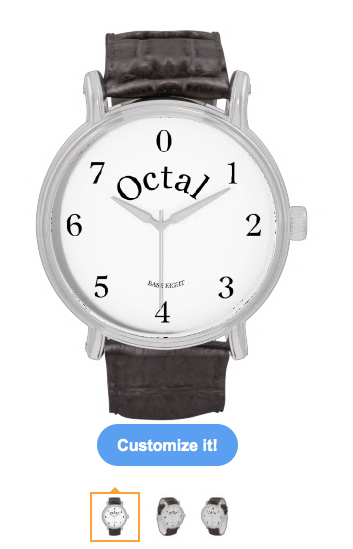 A cool, geek, watch.